What is a Property Defect Analysis Report? A Property Defect Analysis Report focuses solely on a specific issue within the property. The inspection and report will determine the cause and cost of the defect and will then go onto confirm the solution required to rectify and make good the defect. 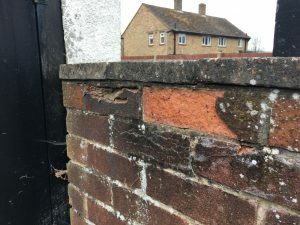 Property defects can be confusing and costly for homeowners and if substandard advice is obtained, it can lead to costly and unnecessary contractor repairs. Through our experienced and qualified team of Surveyors, we aim to avoid this mistake and assist in having the defect made good in both a time and cost effective manner. Structural movement can be a worrying time for any homeowner. Structural movement can result from a long list of issues, from shallow foundations, to ground water, to trees within the vicinity of the property or quite simply poor construction. Addressing the structural defect can be both a costly and involve intrusive construction work. With solutions potentially being the installation of wall plates, underpinning and even replacement or rebuild, it is key to ensure you seek advice from an experienced and qualified team of Surveyors. Damp problems can be a frustrating time for any homeowner, the damage caused can often lead to unsightly staining, increased moisture levels, unattractive odour and both decorative and structural damage. 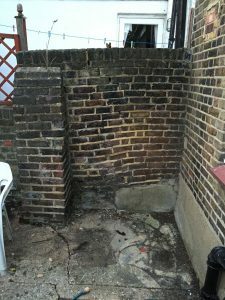 Damp is by far one of the most misdiagnosed defects our Surveyor's see, with costs ranging from hundreds to thousands of pounds, it is imperative to get an experienced and qualified team of Surveyors on board to fully advise you and address the issue at its root. 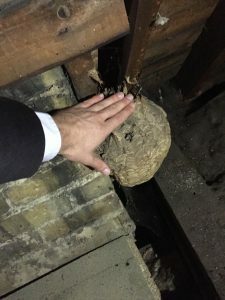 Timber issues are far and wide and can range from pest infestation or damage, to wet rot or dry rot, to structural overloading and even water penetration. Within the UK almost every house will have some form of timber member within it. 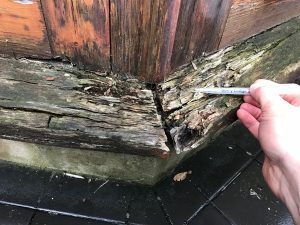 Having a thorough understanding of the type of issues that can lead to timber problems will ensure the matter is dealt with in the most time and cost effective way possible. How can a Property Defect Analysis Report help me? Once the Property Defect Analysis Report has been prepared, it should confirm exactly what is causing the issue or defect and will also confirm the exact steps that need to be taken in order to rectify and solve the issue. We understand that property defects can be a stressful time for homeowners, our advice will ensure you can deal with the issue at its root and complete the necessary works in the most time and cost effective way possible. Over the years our Surveyors have dealt with defects to all types of properties from studio flats to historic listed homes. Our breadth of experience ensures we are always best placed to be able to assist our clients with their property defect matter, ensuring both a time and cost effective solution is provided. 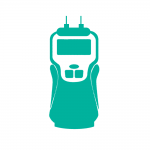 Unlike other Surveying companies we also source costings for the solutions and provide you with a list of three different companies that will be able to make good the defect. 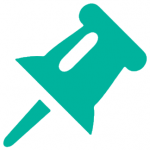 This ensures you are well placed to deal with the issue in both a time and cost effective way. We can also assist in the completion of the necessary construction or making good works, managing the contractor and ensuring the works are completed in the most cost and time effective manner possible. Before visiting site our Surveying team will have undertaken extensive research to ensure that when we undertake our inspection we are fully informed on the issue, whether it be reviewing historic works, planning records or insurance records. We will ensure we have the facts to hand for our inspection. During the inspection our Surveyor will fully inspect the property and the defect and will be able to establish the root cause of the issue. It isn't uncommon for the Surveyor to inspect all parts of the property both internal and external to properly "follow the trail" and determine the problem. 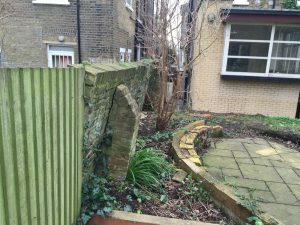 Having now undertaken pre-site investigation and site inspection, the Surveyor will compile a comprehensive report giving a clear view on the cause of the issue, how to address the issue and most importantly the potential costs. If required, we are also happy to recommend contractors to complete the work. Our Surveyors use a laser measure to locate the defect within a particular room and also measure any the size of the issue. Don't be surprised to also see photographs within the report with a laser dot within them, identifying and directing the reader's eye to the defect. Our Surveyors use a damp meter to identify any damp in the property, or in the event of damp, confirm the severity of it. Once identified the report will then go one to confirm the cause of the issue, recommendations on repair and the likely cost of the making good. 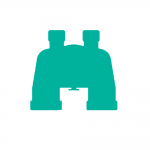 Our Surveyors use binoculars to view those hard to reach external areas such as roofs, chimney stacks, gutters and fascias. This ensures that if we do note an issue we can easily identify what is causing it and then go on to make the necessary recommendations for repair. 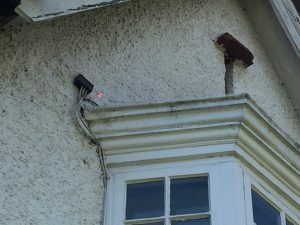 Our Surveyors use high powered LED torches to ensure that the defects that lurk in the darker areas of the property such as the loft void, eaves, cellars and cupboards. This ensures that we are able to fully inspect all areas of the property and leave no stone unturned. Our Surveyors use a voltage pen when necessary to ensure that any loosely fitted or protruding wires are checked to determine if they're live (electricity passing through) ensuring that the Surveyor and client don't get a shock! 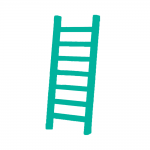 Our Surveyors carry 3.2 metre ladders to all of our inspections, this ensures that we are fully able to access those hard to reach places such as loft voids, flat roofs, gutters and high fences. 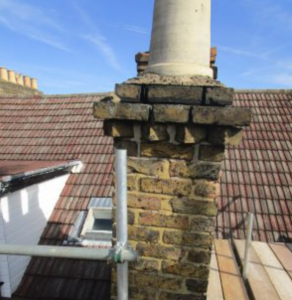 Our Surveyors will regularly be up and down ladders to ensure that no defects are missed. 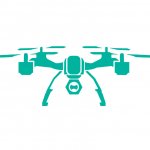 Our Surveyors use a drone to inspect those areas of the property, such as the roof, chimney stack or flank wall that are often difficult to inspect. This ensures that we get a full understanding of the entire property and are able to fully advise our clients of any defects. 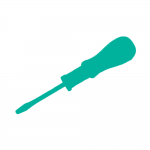 Our Surveyors will carry a full screwdriver set which ensures we not only test the firmness of timber, plaster, brickwork and render. We are also able to lift drain covers, remove panels and pry open hard to view areas of the property. This ensures that no stone is left unturned. Our Surveyors carry a 5m, a 30m and a 60m tape measure during all of their inspections. 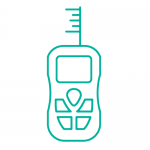 This ensures that we are able to fully measure the property, even those hard to reach areas. 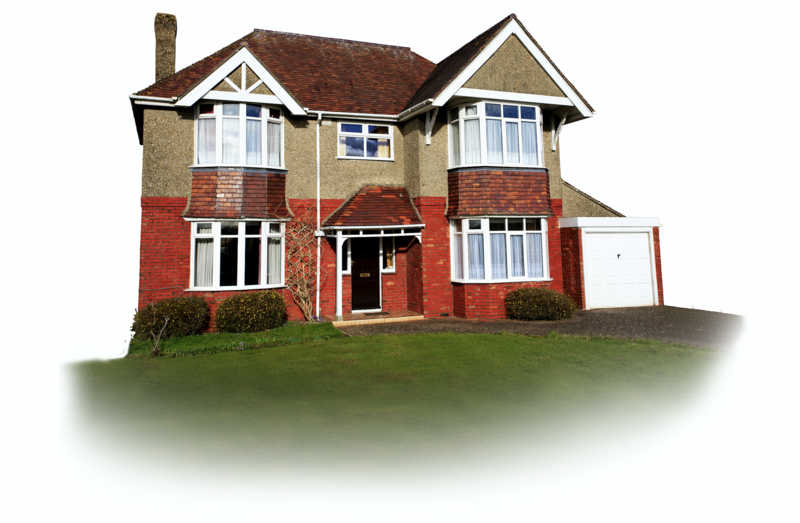 We are also able to confirm the size and square area of defects such as damp, defective render or cracks. Our Surveyors will use a plum line to determine and illustrate the verticality of walls, chimney stacks, fences and stair cases. This ensures that where defect is noted, we are able to effectively demonstrate this to our client and then go on to make the necessary repair and making good recommendations. 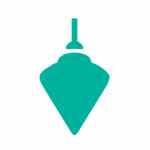 Our Surveyors will use pins and tack to identify and locate defects within our photographs, this ensures that the reader's eyes are drawn to the defect so that when the recommendations of repair and making good are made, the report is a clear and transparent as possible. 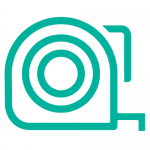 Our Surveyors will take numerous photographs during their inspections to ensure that when we discuss the defect within the report it is as clear as possible. We will also take videos of the Surveyor discussing the defect and identifying it during the site inspection where necessary. All of our Defect Analysis Reports are set at a fixed cost and include the inspection, report and repair recommendations. As Surveyors over the years we have pretty much seen every type of defect that a property can have. Our vast knowledge and experience can often clarify a confusing property defect and ensures that you not only get an understanding of the defect, but understand how to repair it and importantly know how much it will cost. Hover & Click over the house below and you will see the defects that can luck within! 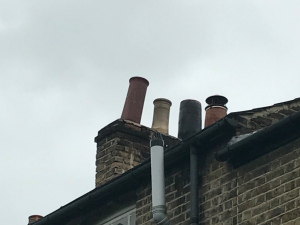 Defective Pots can effect the draw of the Chimney and also have a danger of falling to the ground beneath. 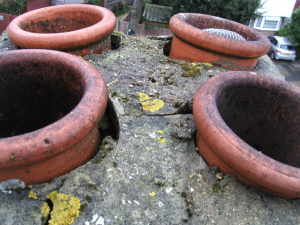 We would recommend pots are checked yearly or at the very least upon purchase of any property. With costs of replacement ranging from £750 - £2,000 + VAT this isn't a defect to miss! 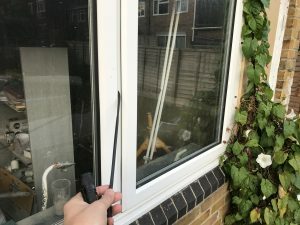 Defective Flaunching can allow rain water and pests to enter the property beneath and can ultimately lead to a damp penetration and pest ingress. Flaunching should be checked yearly to ensure it is fully operational and in good order. With costs of repair ranging from £500 - £1,500 + VAT this isn't a defect to miss! Defective Stacks will likely need partial or complete rebuild. Stacks can become defective from both weathering and also the normal use of the chimney itself. With costs for repair including costly scaffolding, this defect is not one to be missed. With costs of repair ranging from £6,000 - £15,000 + VAT this isn't a defect to overlook! 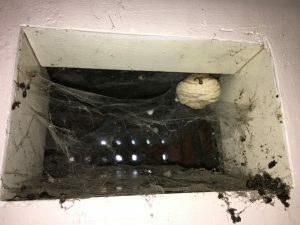 Pest ingress can be a nuisance to the property occupants and in the case of wasps can lead to the danger of being stung! Pests are an easy fix however can be costly depending on the extent of the infestation. With costs of eradication ranging from £150 - £500 + VAT this isn't a defect to miss! 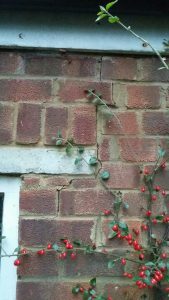 Eroding Pointing is a sign that the brickwork will likely require full or partial re-pointing in order to ensure a weatherproofed surface. With costs of re-pointing a house ranging from £4,000 - £15,000 + VAT this isn't a defect to miss or ignore! 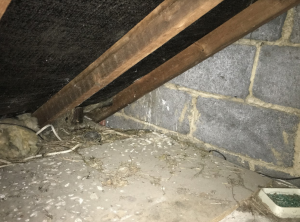 Pest infestation and in this case birds is often a sign that the roof is failing or tiles have slipped allowing birds to enter the roof void. With costs of roof repair often requiring scaffolding and ranging from £500 - £25,000 + VAT this isn't a defect to miss! Drains and subterranean pipes can easily become blocked, cracked or ruptured from issues such as overuse, tree roots or surrounding construction work. 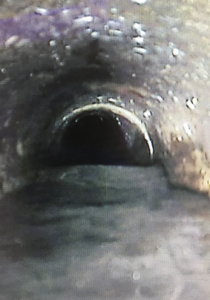 With costs of drain repair or replacement often requiring CCTV surveys, excavation and Thames Water approval and ranging from £1,500 - £5,000 + VAT this isn't a defect to overlook! Pebbledash coverings are one of the most common forms of finish within the UK, however are very susceptible to weathering, balding and ageing causing moisture ingress and an unsightly finish. With costs of cleaning, repair or renewal ranging from £1,500 - £5,000 + VAT this isn't a defect to miss! Wet Rot can quickly cause irreversible damage to timber window and door frames. With repair requiring the cutting out of the affected area or full replacement of the frame this defect is an expensive repair ranging from £500 - £2,500 + VAT and isn't a defect to miss! Slipped Roof tiles are often a sign that the roof covering is reaching the end of its lifespan. With piecemeal repair often ineffective, more often than not the roof covering will require full replacement. 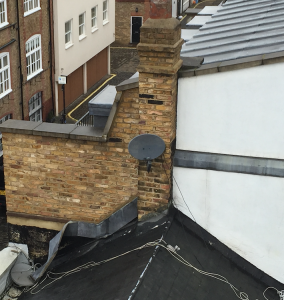 With costs of roof repair often requiring scaffolding and ranging from £500 - £2,5000 + VAT this isn't a defect to miss! 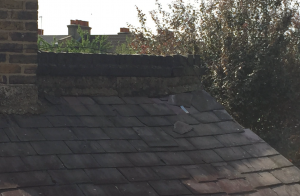 Roof Sagging is often a sign that the roof covering is too heavy for the roof structure beneath and will likely mean the roof covering needs replacing or the structure strengthening. 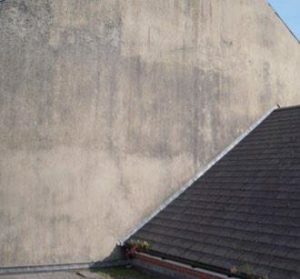 With costs of roof repair often requiring scaffolding and ranging from £500 - £25,000 + VAT this isn't a defect to miss! As a property ages its coverings will slowly approach the end of their useful lifespan and require replacing. Clay tiles are one of these coverings, with costs of roof repair often requiring scaffolding and ranging from £500 - £25,000 + VAT this isn't a defect to miss! Lintel failure can lead to structural damage and cause issue both externally and internally. 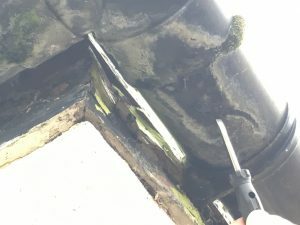 If the lintels are failing it will usually mean they need replacement which will require the window or door frame to be removed and the lintel replaced. This repair is not only disruptive, but also costly. With replacement costs ranging from £1,500 - £3,500 + VAT this isn't a defect to miss! Differential movement occurs when two structures that are independent from one and other move at different rates. 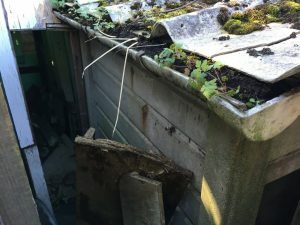 With garages, outhouses and bay windows often sitting on far shallower foundations (if any) than the rest of the property, it is very common for them to move at a far quicker rate. With costs of repair often requiring underpinning and ranging from £5,000 - £20,000 + VAT this isn't a defect to miss! Garage or extension roofs are commonly flat and can often be poorly constructed meaning rainwater doesn't correctly flow away from the property leading to pooling or ponding. In the winter months the water freezes and pulls the roof covering apart. 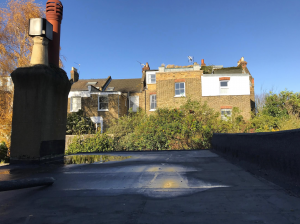 With costs of repair often requiring roof surface replacement or reconstruction to ensure proper falls and costs ranging from £3,000 - £12,000 + VAT this isn't a defect to miss! Invasive Plants can be highly damaging to the structure of the property, are costly to remove and in the case of Japanese Knotweed will mean that the property may be unmortgageable. Japanese Knotweed is within 6 square miles of any property in the UK so is a surprisingly common issue, with its roots being able to grow through concrete and the removal being slow often 1 - 3 seasons it is a plant to address at the first instance. 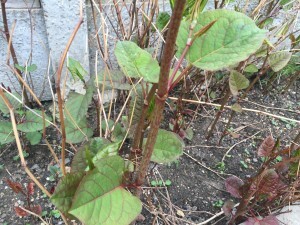 Japanese Knotweed treatment costs range from £3,000 - £15,000 + VAT this isn't a defect to overlook! Blockages to downpipes are one of the highest reasons for penetrating damp and if left to fester can cause extensive internal damage. With the cost of clearing or replacing relatively low on the scale of property repairs with costs ranging from £250 - £2,000 + VAT, this isn't a defect to hold off repairing. These can range from condensation in the glass, aged seals, cracked panes or defective sashes. Window repairs are surprisingly expensive and in many cases replacement isn't all that disproportionate to repair. 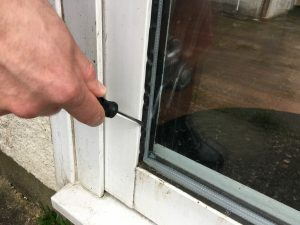 Windows are key to protecting your property from the elements therefore these aren't to be overlooked. 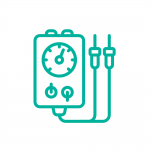 Costs can range from £150 - £2,500 + VAT. 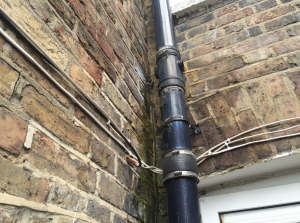 Lead or similar flashings will seal numerous junctions within a property from the elements and ensure that the structure below is free from water ingress. 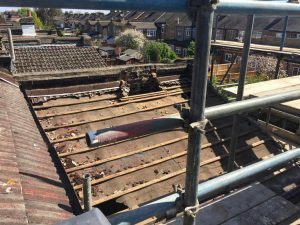 Flashings are commonly in hard to reach areas such as the roof and will often require scaffolding for safe replacement or repair, not to mention the high cost of lead itself. With repair or replacement cost ranging from £5,000 - £1,000 + VAT this isn't a defect to overlook! Bay Windows are usually on far lesser foundations than the surrounding property meaning that they can often subside and drop in comparison to the house. The resulting movement can lead to significant internal cracking and will often require re-plastering and potentially even underpinning of the bay. 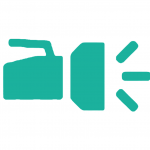 With costs ranging from £3,000 - £15,000 + VAT this isn't a defect to ignore or overlook! 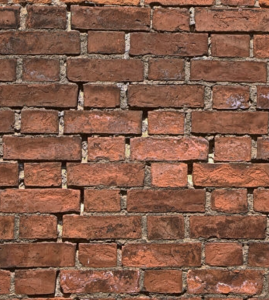 Additions such as porches, patios, paving or planters can all have the effect of bridging the Damp Proof Course (DPC) which can lead to costly internal repair. With the solution being the removal of the property that is causing the bridge, this can see paving broken out, planters demolished and porches removed. Alternatively retrospective injection DPC can be installed, however this is both costly and not always effective. With costs ranging from £1,000 - £5,000 + VAT this isn't a defect to ignore or overlook! 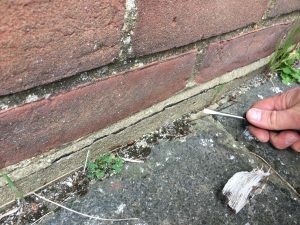 Spalling brickwork is a common sight in brick houses and will allow moisture to deeply penetrate the brick leading to an exaggeration of the issue and further damage. The repair of this usually includes the cutting out of the defective brick and replacing with new. This repair is lengthy and continual, with costs of repair ranging from £3,000 - £12,000 + VAT this isn't a defect to ignore or overlook! If poorly maintained these can lead to pest and damp ingress and can eventually lead to costly pest removal or decorative repair. We'd recommend checking these periodically to avoid issue. 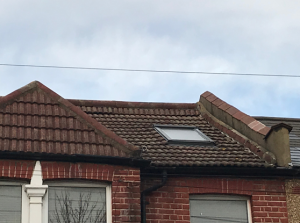 Blocked Gutters can lead to penetrating damp and will often lead to costly internal redecoration, not to mention damage to the fascia board to which the gutters are fixed. Clearing the gutters should be done yearly to avoid ongoing repair. With costs ranging from £150 for clearance to £5,000 + VAT for internal repair, this isn't a defect to ignore or overlook! Unbeknown to most, roofs have a shelf life and will often need replacement or ongoing repair. Full replacement can be costly and involve scaffolding being erected to facilitate safe work. With costs ranging from a few thousand to up to £30,000 + Vat this isn't a defect to ignore or overlook! Around the 1800 - 1930's houses weren't built with deep foundations with the average property having corbel footings of up to 350mm in depth. These are insufficient and allow for movement and subsidence. In the event that this occurs, you will likely find yourself having to underpin or rebuild. With costs ranging from £3,000 - £15,000 + VAT this isn't a defect to ignore or overlook! Fascia boards sit directly underneath the roof. Their main purpose is to be used as a form of support for the guttering system. 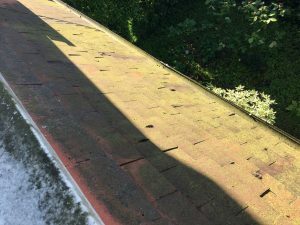 If you notice that the paint on the fascia board is flaking or pealing, this could mean that there is an issue with the gutters above. Get this checked out as the repair costs can range from repainting at around £500 to replacement at a few thousand pounds.